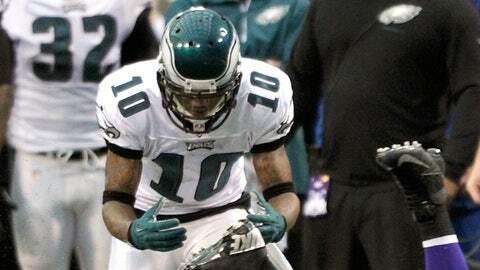 DeSean Jackson and the Eagles let this one slip away. The Eagles took a five-game winning streak into Minnesota on Sunday and watched that come to an end with a frustrating and head-scratching defeat at the hands of the Vikings. It’s unclear who he was jawing at on the sidelines, but it’s understandable. Jackson had a monster game on Sunday, catching 10 passes for 195 yards and a touchdown, so it’s obvious he wasn’t complaining about a lack of touches or something silly like that.